The Trump International Hotel & Tower (R) rises above the city's business district August 18, 2008 in Chicago, Illinois. Toppling the Trump Tower? Mangling the Michigan Avenue Bridge? Anything will be possible this summer when the Hollywood production of "Transformers 3" comes to Chicago. "You’re going to see a little bit of mayhem," said producer Lorenzo di Bonaventura. "It wouldn’t be 'Transformers' without it." Bonaventura stood with an obviously proud Mayor Richard Daley as he announced the shooting schedule for the Michael Bay directed blockbuster of July 10 through August 19. Daley said the city was thankful for being chosen as a major location for the film, which will also be shot in Los Angeles and Moscow. Di Bonaventura, who has relatives living in Chicago, said he is always happy to film here. While the exact locations have yet to be chosen, Di Bonaventura said many of the scenes will be shot downtown because of the city’s scale. "What is great about Chicago is that it has that wide open aspect to it so we think we will be able to deliver a phenomenal look for the film and do justice to the city," he said. The announcement comes on the 30th anniversary of the release of the "Blues Brothers," a film credited with shattering production barriers here and opening the city to Hollywood. Since 1989, 900 films and TV productions have contributed more than 275,000 jobs and $1.6 billion to the local economy. The untitled Ron Howard film is currently in production here, along with a new TV series called "Ride Along." While Chicago is offering no financial incentives to producers, the State of Illinois has a 30 percent tax credit for films made in the State. According to Rich Moskal of the Chicago Film Office, producers often choose to film in Chicago because of access to quality crews and actors and the ease of doing business with the city. 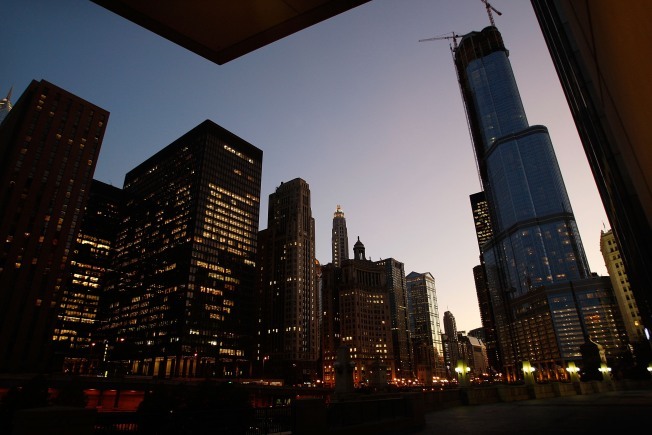 Recent project filmed in the Windy City include "Batman: The Dark Knight" and "Public Enemies." Production for "Transformers 3" is expected to bring more than 200 jobs to Chicago. Ten of those jobs will be paid internships for students from the city’s South and West sides. "This is my career," said Montell Williams, a senior at North Lawndale College Prep, who will be working on the film. "I am looking for anything out there that is going to benefit me and my career." Daley is hoping the exposure the city will get through the movie will be a boon to the tourism industry. "You’d be surprised how many people say they saw us in a movie," he said. "It’s free publicity for us." "Transformers 3" is slated for release next June or July.